How to Convert Apple Music to AAC? Apple Music is a streaming music service that allows you to listen to any song available in the iTunes library. 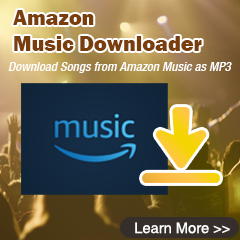 The service includes the curated Internet radio station Beats 1, the blog platform Connect that allows artists to share their posts, photos, videos and tracks with fans, and Radio which incorporates some aspects of iTunes Radio. Apple Music provides music recommendations based on user's taste and is integrated with Siri voice commands. AAC stands for advanced audio coding and is the logical successor to MP3 (ISO/MPEG Audio Layer-3) for audio coding at medium to high bit rates. Why We Need to Convert Apple Music to AAC? With Apple’s Fairplay copy protection, every file available on Apple Music are DRM-encumbered. In other words, you are not allowed to copy and transfer the Apple Music you buy or stream it on anything other than the Apple device. Apparently, the actual result of DRM is a lot of frustration for those who just want to listen to Apple Music without any limitation. So lots of people are seeking ways to strip off DRM protected Apple Music files to some common audio formats like AAC, MP3, FLAC or WAV, thus allowing streaming their Apple Music anywhere and anytime. Fortunately, there are several ways to create local backups and rid your Apple Music of unwanted DRM. 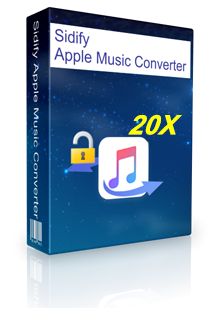 One of the best ways is to try Sidify Apple Music Converter which can losslessly remove DRM restrictions from Apple Music or any other playable audios purchased and downloaded from iTunes. 10X Conversion Speed; Keep all ID3 Tags and metadata. 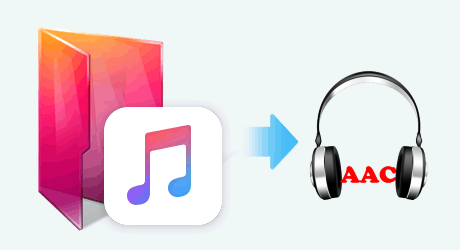 Tutorial: How to Convert Apple Music to AAC Format? 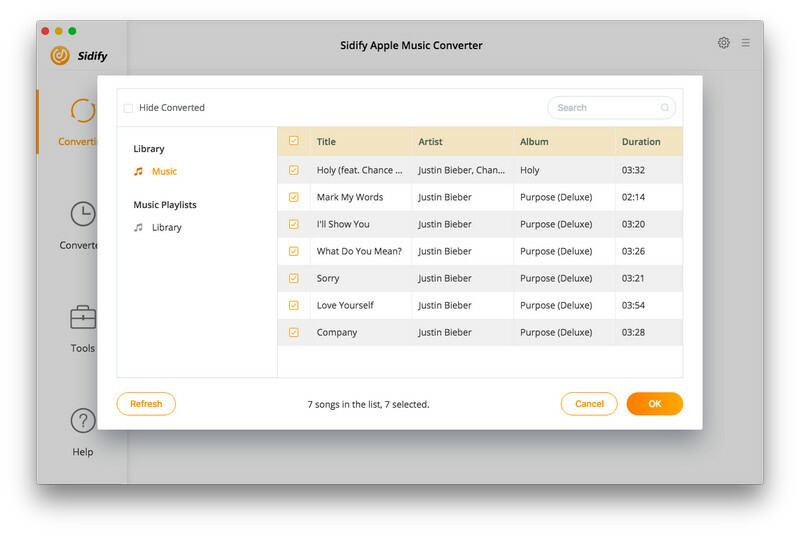 Launch Sidify Apple Music Converter and iTunes will be automatically launched and disappear quickly. Then click "+" to add Apple Music tracks. 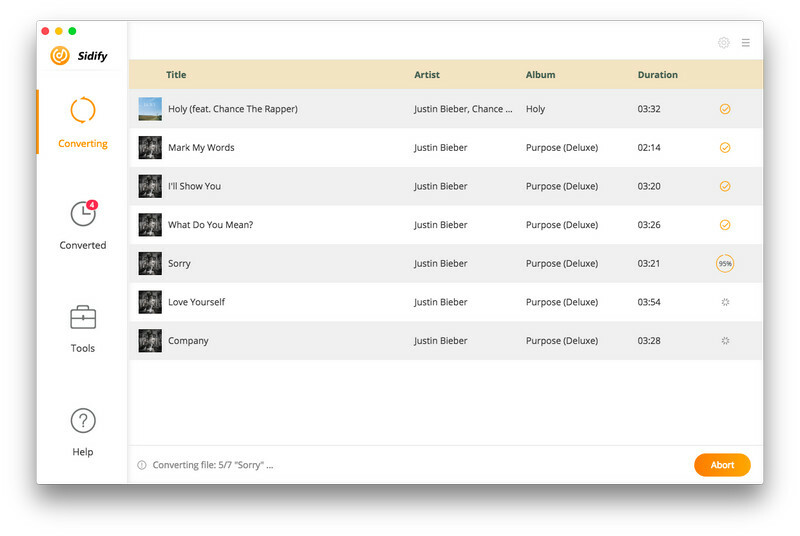 A window would pop up with your familiar iTunes music and you can select any audio files that you want to convert. After importing the files, click the setting button at the upper right of Sidify, a window would pop up. Here you can choose output format as AAC, set the converting speed up to 20X or adjust the output quality. Besides, the output path is also changeable if required. After the adding and setting work have been done, please click “Convert” to start conversion. After conversion done, you can find the converted AAC files by clicking. 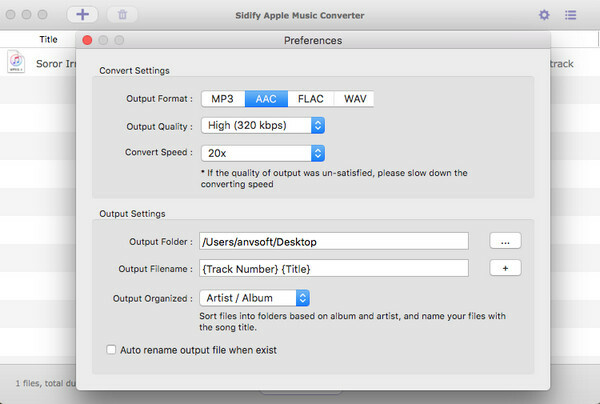 Note: The trial version of Sidify Apple Music converter has 3-minute conversion limit. If you want to unlock the time limitation, you'll need to purchase the full version with $39.95.